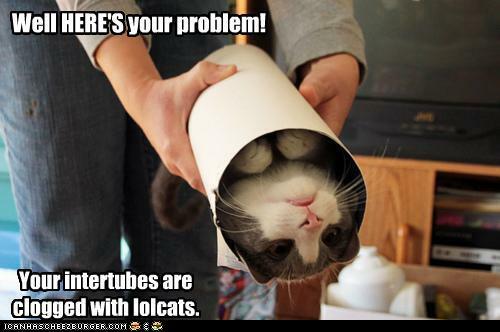 If you find the intertubes unusually slow, don’t call your provider until you check for lolcats first. It’s one of those simple repairs you can do yourself and save money! It’s easy and fun! No special tools required! Cate Blanchett should have known better. 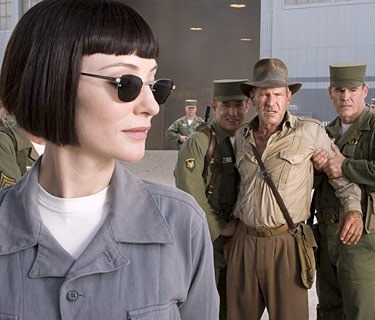 The Indiana Jones movies have been playing all weekend on the USA network, and watching the last one – the “Crystal Skull” – reminded me that most of it wasn’t so bad. Even surviving the atom bomb blast in the refrigerator was kind of clever. I could almost take the “Ancient Astronauts” plot, too. What I found most silly was the behavior of the Russians, who were as cartoonish as possible. Cartoonish Nazis, OK. I think sometimes even the Nazis knew they were over the top, but thought it was kind of cool. The Russians (OK, Soviets) in this movie were also-rans to the menace of the Nazis in the first and third films. Even Cate Blanchett couldn’t save it. Instead, she was probably the worst. Not a redeeming quality to her, unlike the blonde in the third film. I hope they stop with this one. The only thing worse than an Indy 5 would be a spinoff for Mutt/Henry III. I can take his acting when there are gigantic killer robots in the film, busting stuff up, but not when we really have to try to suspend even the tiniest bit of disbelief. I thought at first they green-screened a lot of the desert portions of the film, but watching it on the HD side of the USA network, it looks like the director felt they needed fill lighting for some reason and just overlit the sunrise portions – or they shot it outside during midday and then green-screened the sunrise. It may have been sunset – it was hard to figure the time frame out. Yesterday (December 8) a SpaceX Falcon 9 launch vehicle lifted off from Cape Canaveral and put an 11,500 pound Dragon spacecraft into orbit at about 185 miles. Two orbits later, the spacecraft deorbited successfully and splashed down about 500 miles off the southern California coast. This marks the first time a private company has successfully launched and returned a spacecraft from orbit. 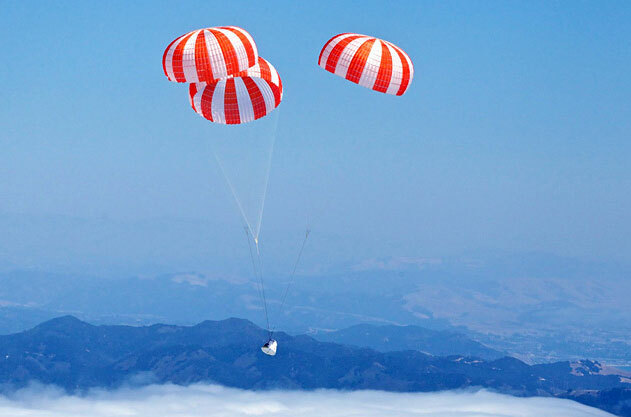 The spacecraft was unmanned, and is designed to carry either cargo (to the ISS) or up to seven passengers. My sincere congratulations to Elon Musk and the entire crew at SpaceX. There’s no leftover military hardware here; all the engines were designed and built by SpaceX, as was the complete launch vehicle and spacecraft. Talk about a starting with a clean sheet of paper! Yvonne Kupka needs our help! Yvonne Depatis-Kupka, wife of Tower of Power co-leader Stephen Mackenzie “Doc” Kupka, is in need of a liver transplant. A medical fund has been set up to collect and administer donations. Go to the Yvonne Kupka Medical Fund web site to make a donation. A little from a lot of folks means a lot! There are other ways to help, too. Go to Strokeland Records, Doc’s record company, and buy stuff. You’ll love the music and you’ll be helping Doc and Yvonne as well! My personal favorites: Doc’s Strokeland Superband: “Kick It Up A Step,” and the first recording by a group from the Northwest called DoctorFunk. Check them out! It works! Even over 3G! 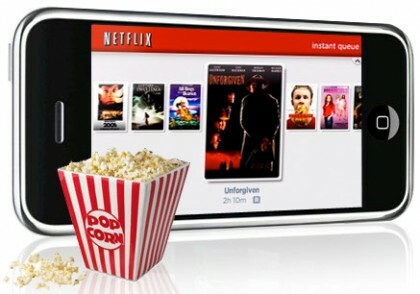 While working on some stuff for school I have a film playing on my iPhone 4 using the Netflix app. The dang thing streams video! It’s pretty amazing, even if the movie is the size of an index card! The movie I’m semi-watching is “Surrogates,” with Bruce Willis. It has a particularly silly premise, but it is an attractive movie, since almost all the people in it are supposed to be cyborgs. Nobody would pick an ugly cyborg body, right? Well, Bruce Willis did. At least, his had bad hair. You would choose this hair? Really? That’s not the silliest plot hole. The silliest is that everything else is the same, and only the surrogates have changed. The surrogates still operate normal computers, drive normal cars, and buildings seem to be pretty normal. If you can directly interface someone’s eyes with the eyes in a cyborg, why not directly jack the computer display into the surrogate, and therefore into the user? Why do you need traditional car controls when the surrogate could become one with the car? There are military cyborgs, too. 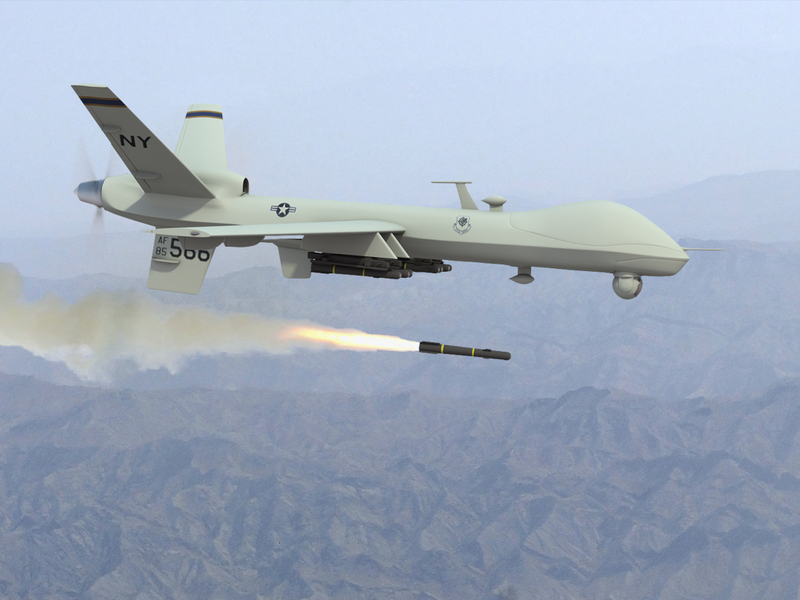 I can see the reason for some to be human-like, but UAVs don’t have cockpits. Why not build the interface directly into a tank, for example? That doesn’t seem to be a big mental jump. “But then we would lose the plot points.” Yep. Sorry. The ending is kind of cool, though. Good car crashes. Otherwise, it’s definitely a rental movie. 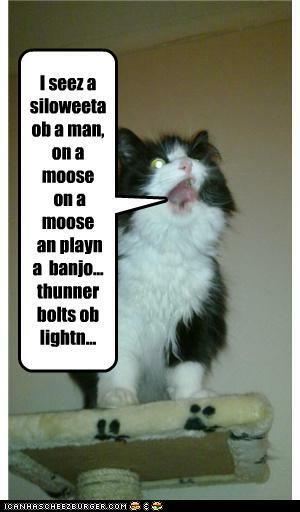 You are currently browsing the The Old Gray Cat blog archives for December, 2010.